There are times in life when everything is weirder than the strangest novel you’ve ever had. As authors, we’re used to writing beyond everyday life, and often we use writing as a way to add spice to the oftentimes mundane events of day-to-day living. So what happens when life itself is more eventful than your stories? This has been the case for me the last couple of weeks, and to be honest, I’ve considered writing a book about the twists and turns life has thrown at me, except I think it would be too unbelievable! I feel like I’m in the middle of a cheesy plot that no-one would even take seriously. So, for once, I’m stepping outside the author’s comfort zone. I’m not writing to add spice or variety, I’m writing to add a bit of normality! The final book in the Reborn Trilogy is ready to be published, and despite being a paranormal romance, it’s more believable at the moment than anything happening in real life. Fifty-four years ago, on April 9th in 1963, Sir Winston Churchill became the second person to become an Honorary Citizen of the United States, and since then, this day has been known as Winston Churchill Day. As well as being Prime Minister of the UK during the war years, Churchill is fondly remembered as an incredibly talented and inspirational writer, and today, many authors continue to learn from his wise words. As authors, our goal is to bring our readers into a world of our making, to convince them, if only for a while, that our stories are real. To give them an escape wrapped in well-written sentences, and weaved through pages of imagination. When I wrote the Reborn Trilogy, I first had to believe my story myself. It’s because of this that this is one of my favorite Churchill quotes. Writers are in the business of smoke and mirrors. No matter what the genre, we like to use words to lead our readers along a winding path of subterfuge, magic, and surprise. We all search for the holy grail, that fine line between predictability and ridiculously obscure. Sometimes the smoke is thinner than it could be, sometimes the mirrors are slightly disproportionate, but our goal is always to give the reader a break from reality, a release from the mundane. Sometimes the mystique is completely, and deliberately, unexpected. As authors, we can tell enough of a story to guide the reader to draw their own conclusions, only to pull the metaphorical rug from under them when they reach the end. When I wrote the Reborn Trilogy, I knew where the final book was going to finish, but I didn’t want my readers to know until they got there. As authors, we indulge the darker traits of humanity – like lies and deception – in a way that’s not only acceptable to society, but expected by it when they curl up with our books. Today is Smoke and Mirrors Day, referring to how magicians use all manner of distraction to make sure an audience fails to see what’s really going on. As authors we do the same thing, but words are our smoke, paper is our mirror, and the book is our trick…the only difference is that we make sure our audience understands how it’s done by the end. I’ve given a few author interviews recently, and they typically ask how you got into writing, what your books are about, if you have any advice for other authors etc. All great questions, but I’ve just completed an interview with the very lovely Fiona McVie, and she asked one question I’ve not been asked before. I love that this question acknowledges a book is nothing without people reading it. It’s a bit like a cold cup of tea – full of all the right ingredients, but without the warmth of fingers turning the pages. To see my answer to this question, and the rest of the interview, pop over to Fiona’s blog, and if you want to give some warmth to a book or two this weekend, pick up a copy of Reborn and Reawakened, the first two books in the Reborn Trilogy, available at Amazon. Shout out to Awesome Authors! Friday is Day of Awesomeness! In honor of this day, I’d like to give a massive shout out to all indie authors for being awesome! And that is why you’re all awesome! If you’re an indie or self-published author, feel free to leave a mention of your book(s) below. Reborn (Book One) and Reawakened (Book Two) are both available on Amazon. Renewed (Book Three) is coming this summer. Today is Grammar Day. Not Bad Grammar Day, just regular Grammar Day. I am a self-confessed grammar pedant, so this could be one of the best days of the year for me. 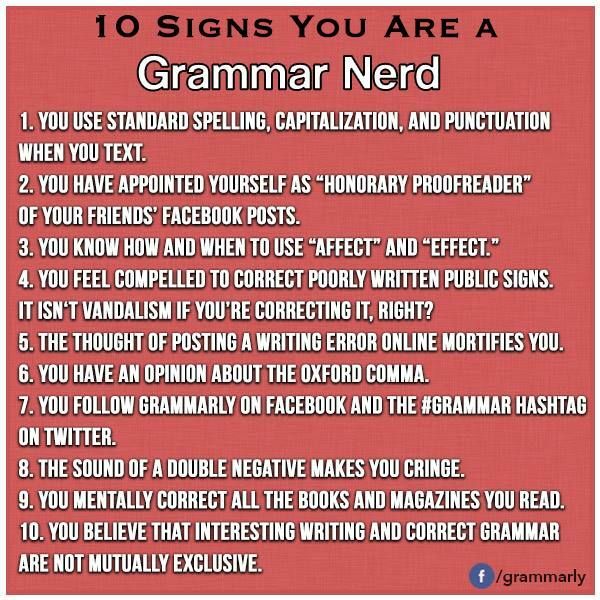 As an author, editor and proofreader, I have more than a passing interest in the correct use of grammar, spelling, and punctuation, and admittedly find common grammatical mistakes particularly irksome, akin to having a stone in my shoe. According to a research study released last year, I, along with millions of fellow grammar pedants, am also an introvert. Psychologist Hans Eysenck explains, “highly introverted individuals find themselves overstimulated by things.” Yeah, like apostrophes in plurals, and dangling modifiers! So, today is the day when everyone takes time to recall what they learnt in primary school, and takes pity on those of us who can’t help mentally correcting social media posts and status updates. Living in the mountains of Sicily, Maria has the perfect childhood until the fateful day of her First Communion, when her life changes forever. The events that follow will take her away from her home town to the streets of Milan. Will she ever be able to trust anyone ever again? Set in turbulent 1960s Italy, Walls of Silence is the story of a girl who must find the courage and strength to survive her family’s betrayal and the prejudices of her country. Walls of Silence is the debut novel by screenplay translator Helen Pryke. It’s set in Italy in the 1960s, and deals with the difficult topic of violence against women in a frank, often raw manner. The book is written retrospectively from the main character, Maria’s perspective. An idyllic childhood becomes a nightmare leading to a cascade of traumatic circumstances. From the beginning, Ms. Pryke beautifully describes 1960s Italy, making the small village and large towns equally alive so that the reader can easily get lost in the settings. More noticeably, however, the author draws the reader into Maria’s reality with excellent character development, and vivid descriptions of events that guide her story. So much so that there are parts that are quite difficult to read, and if you’re looking for a feel-good book, this isn’t it. Although the story is primarily Maria’s story, the author cleverly introduces a side-storyline which allows the book to have a lighter tone, and while it felt a little unrealistic compared to the harsh reality of Maria’s circumstances, it thankfully serves to leave the reader hopeful rather than despaired. Ms. Pryke’s writing style makes Walls of Silence easy to read, even if the subject matter is difficult, and I would recommend this book to anyone willing to take an honest look behind the ‘walls of silence’ built up by women who are caught in a violent situation. Walls of Silence by Helen Pryke is available on Amazon, and the author is donating part of sale proceeds to a woman’s shelter in the UK. Terri woke up in a strange place with no idea of who she was or how she got there. The worst thing was, nobody seemed to take her memory loss seriously. With a stroke of luck, she bumped into Damion, a London bar owner. Thankfully he took her in and was determined to help her. On further investigation, he could not find any evidence of her existence. Damion became suspicious and dug deeper until he uncovered a sinister secret. But did this have anything to do with Terri’s memory loss? He couldn’t be sure, and worse still, he didn’t know who he could trust. The Secret Community is a clever, light-thriller debut novel from J. Meverington, that opens with a young woman, Terri, waking up with a terrifying complete amnesia, and then takes the reader through a series of twists and turns to find the answers to who she is, why she’s lost her memory, and what her past is all about. This book is a light read, and even though it’s not plot heavy, it contains enough mystery and twists to keep the reader guessing and questioning throughout. With a bit of romance thrown alongside the intrigue, suspense, and a healthy dose of the darker side of humanity, this book has something for all readers. The characters are varied and interesting and, unusually, I found myself liking, and caring about the secondary characters more so than the protagonists. As much as I wanted to like Damion, I found myself more irritated by him, and his excessive ending sentences with ‘hey?’ I also couldn’t like Terri as much as a reader wants to like a protagonist, because her eating habits are so disgusting, and kudos to the author for her use of some incredible descriptive writing to make me feel this way. Overall, this is a clever story that will grip you from the start, if only to see if you’re guessing correctly. Everything ties up nicely at the end, so I was somewhat curious to see the author is writing a sequel. I’ll definitely be looking out for it to see how this story progresses. Sylvie aspires to write a romance novel, but gives up after several tries because she knows nothing of romance. With the help of her best friend, she signs up for a popular dating site to find a man to seduce her and teach her about passion – certain this will help her write her book. While Sylvie dreams of the steamy scenes she thinks are necessary for a good romance novel, her unintentionally comical dates fall far short of her expectations. It’s been years since I last read a romance, let alone a romantic comedy, so I was looking forward to this particular book, and I wasn’t disappointed. The story is set in Kawaii, and the author describes the small Hawaiian island so well that anyone who’s been there will instantly recognize it, while readers who haven’t will want to book a flight out. The lighthearted tone of the book is set almost from the first page, and continues right through to the end. The book introduces us to Sylvie, an author looking to find inspiration for the romance novel she wants to write by signing up to an online dating site to ‘research’ her characters. Burovac then takes the reader through a series of ‘blind dates’ via the men Sylvie meets through the dating site. The true beauty of this book, however, is how real it is. Everything from the main characters (Sylvie’s best friend is a married mother, and responds to her confidences in the way that we’d expect our own friends to) to the Murphy’s Law mishaps that most people can relate to (the boat date actually made me laugh out loud!) to the cringe-worthy feelings some situations provoke. The author also rather cleverly introduces romantic loves scenes by vocalizing Sylvie’s thoughts during every painfully failing date, while keeping the possibility of real love always hovering in the background. Overall, this is a well-written, light, entertaining, and fun read that I easily finished in one sitting (don’t expect a long, plot-heavy novel here). A perfect book for a vacation, or just a day on the beach, or in the back yard. Sylvie Writes a Romance, by Melissa Burovac is available on Amazon.